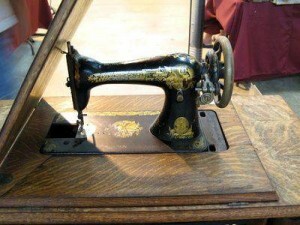 If ever there would be a power outage that didn’t end for a long time, like in an emp type scenario, if you are going off grid or already are off grid and would like to make your electric sewing machine into a non electric treadle machine so that you can still use it Ehow has instructions so you can do that. This might be good info in your saved manuals and books for long term survival. If you ever needed to do this you would have the info to be able to convert the machine and still be able to make clothing. Next story Yo Yo Snare Trap, How to make, set and use it.